Some of Jane's offspring, just born. Happy Valentine's Day, SAT readers. We'd love to hear about any Valentine's Day activities you have planned with your pet! 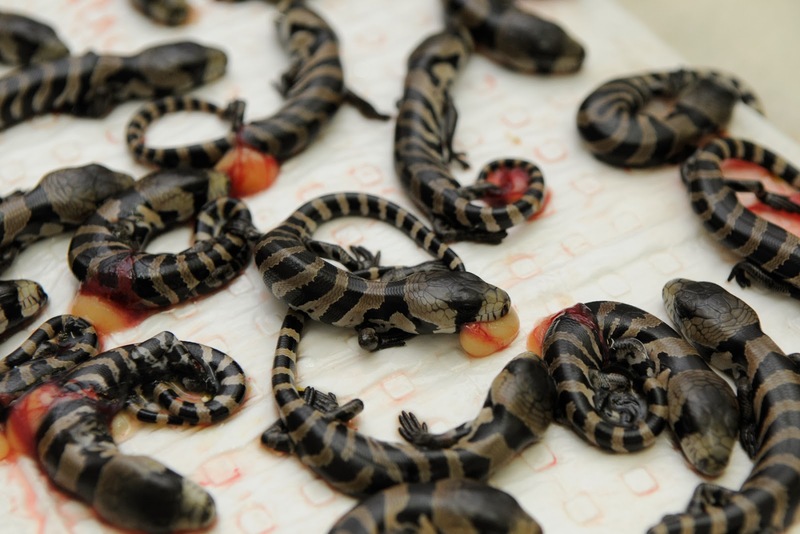 SAT readers are familiar with Jane Doe, the pink-tongued skink. Jane suffered a dog attack which caused her gravid uterus to herniate, necessitating a caesarian. Well, you will be pleased to know that Jane’s experience – and that of other unwell reptiles and amphibians – is being used to educate others. Robert Johnson, who performed the multi-life-saving surgery at South Penrith Veterinary Clinic, has just co-authored a fantastic book with fellow exotics veterinarian Dr Brendan Carmel. Photos of Jane and her offspring are included. 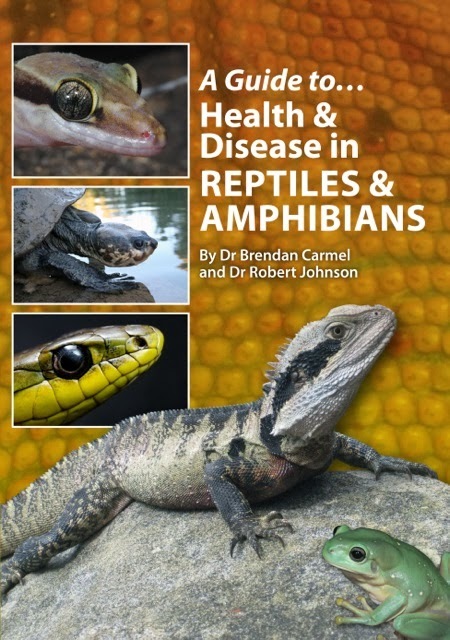 “A Guide to…Health &Disease in Reptiles and Amphibians”, by Reptile publications, is a stunning book for anyone who keeps or treats reptiles and amphibians in Australia. It covers all the basics – from pre-purchase examination to anatomy and husbandry – as well as discussing normal structure and function (as any pathologist will tell you, you need to know the normal to recognise the abnormal). The book documents diseases by species, and offers differentials for different signs in a disease checklist. It is beautifully illustrated with great photos, as well as original drawings and cartoons by Dr Johnson. The book contains up to date information, for example info on Sunshine virus – a new paramyxovirus – and detailed, practical tips like how to source and set up appropriate UV lighting for your enclosure. MEET THE AUTHOR (AT LEAST ONE OF THEM! ): DR JOHNSON WILL BE ATTENDING THE SYDNEY REPTILE EXPO AT CASTLE HILL THIS WEEKEND, AND SIGNING COPIES OF THE BOOK FROM 11-1PM. FOR MORE INFO CHECK OUT THE SYDNEY REPTILE EXPO FACEBOOK PAGE HERE. For those keen on learning all they can about reptiles, you might want to sign up for the 2014 Reptile Education Convention (Reptecon). Download the brochure here - some of Australia's best reptile vets and herpetologists will be there and willing to answer questions. 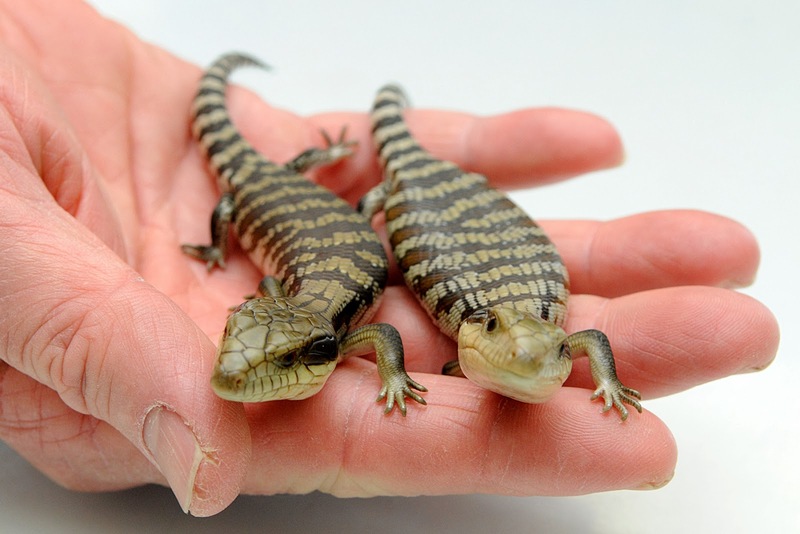 Baby bluetongues. They rival mammals in terms of their cuteness! But they do require proper husbandry. I'm loving the links that SAT readers are sending through, so thought I'd share a few with you. Veterinary educator, blogger and 2014 AVA Annual Conference speaker Rebekah Brown wrote this post about diagnostic biases. Would you use this technology on your dog? I trust my observations, but would this help some dogs? If you’re looking for the perfect Valentine’s gift to spruce up the home of the object of your affection, you might consider a life-sized model of their favourite bird or mammal. This is the kind of purchase that suits one who wishes to make a grand gesture, but you might want to measure the dimensions of its ultimate destination first. Canberra’s National Zoo and Aquarium is putting meerkats to work to raise funds for conservation by painting. Some very cute footage here but I am feeling that the paint is not the focus of their interest. “I had visited in the late 1970s and was quite appalled at the state of many of the animals in Rarotonga - so was thrilled to see such a mostly happy, healthy and de-sexed bunch of animals."